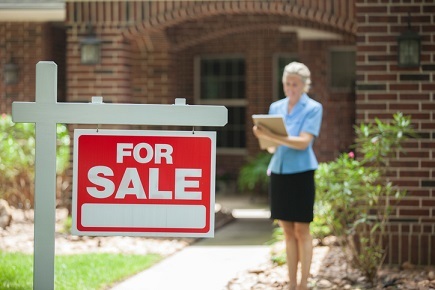 Amid a stricter mortgage regime, signs of sales decline have been observed in several major metropolitan housing markets nationwide over the past few months, according to the National Bank. Most notably, sales fell by 40.4 per cent year-over-year in July in Greater Toronto, in the wake of new provincial housing rules that included expanded rent controls and a 15-per-cent foreign buyers’ tax. Meanwhile, Greater Vancouver suffered an 8.2-per-cent sales decline over the same time frame. “Based on a survey of real estate boards that we conducted earlier this month, home sales declined on a [year-on-year] basis in July in most large Canadian cities west of Ottawa,” National Bank economist Marc Pinsonneault wrote in a client note earlier this week, as quoted by The Huffington Post Canada. The data came along with the latest edition of the Teranet house price index, which showed a strong 14.2 per cent annual price growth in July (the same pace as the previous month). However, Pinsonneault cautioned that the information might be a reflection of what happened several months ago, not necessarily the date of release. According to the index, home prices in Toronto were up 28 per cent in July from a year ago, while Greater Vancouver saw an 8.7-per-cent increase in this time frame. Pinsonneault cited Ottawa and Montreal as the two housing markets going against this flow and doing much better than their peers. These cities were the “two areas where the Teranet-National Bank Home Price Index was at a record level in July,” with annual housing growth increasing to approximately 4 per cent in Ottawa and 5.5 per cent in Montreal. “Downward pressure is likely to be more acute in regions where affordability has been eroded by past price escalation, while home prices should be more resilient in regions where homes are more affordable,” Pinsonneault stated.